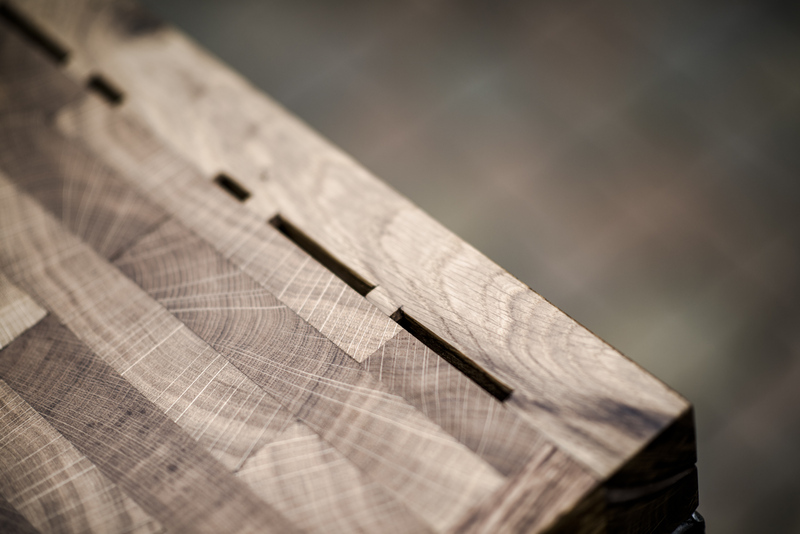 I’ve been itching to make a butchers block for a while now. 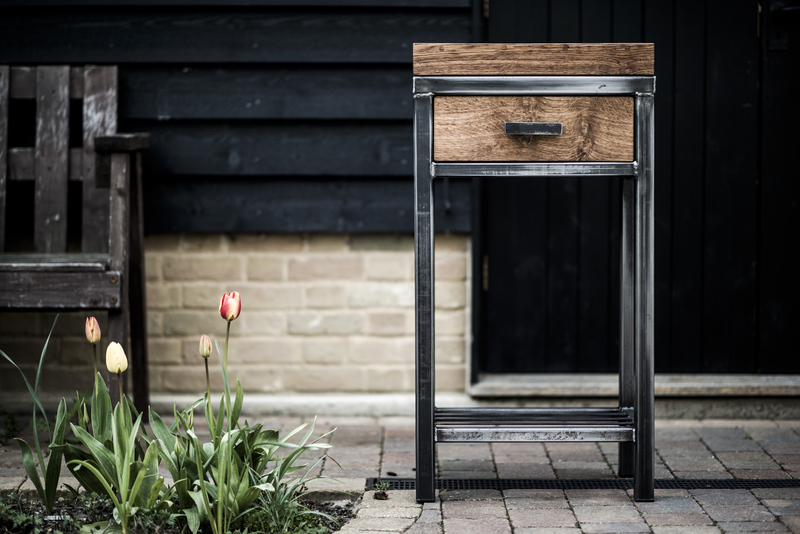 I decided to use some beautiful brown English Oak as it compliments the steel so well. 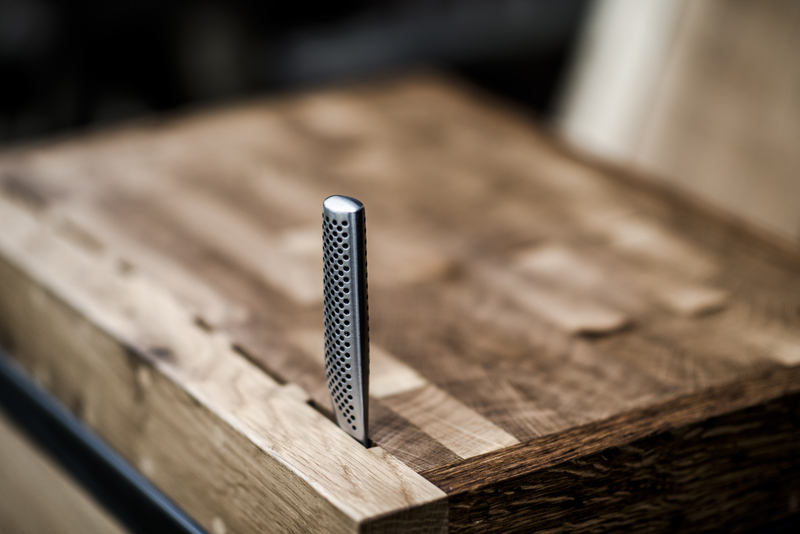 The top is made from 8cm thick end grain with six slots to the rear allowing a variety of kitchen knives to be stored. 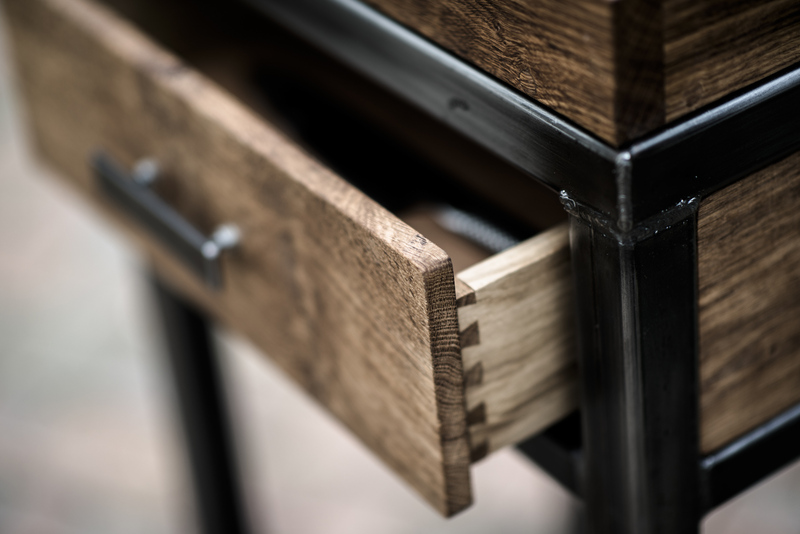 The dovetailed jointed drawer uses full extension ‘blum’ soft-close runners to store additional items. The lower shelf allows pots and pans to be stored and hooks can be added underneath the drawer to allow additional utensils to be neatly organised. 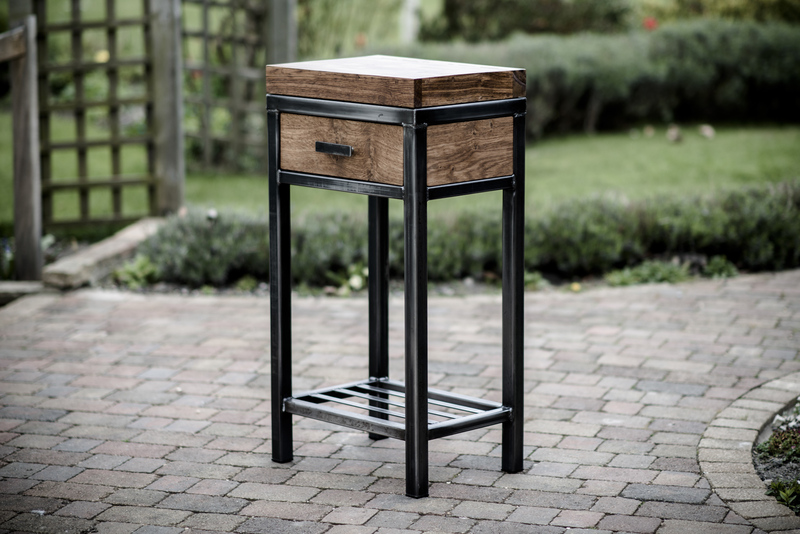 This piece can be made to any practical size so get in touch via the ‘Commissions‘ form.